Live from the Knights of Columbus in West Allis, MKE Presents: Wrestling Is Real! We only have two more shows at the Knights of Columbus before the building closes for good. This has been an historic wrestling building for decades and we plan on going out with a bang. Up first, we will welcome back Ken “Mr. Kennedy” Anderson! 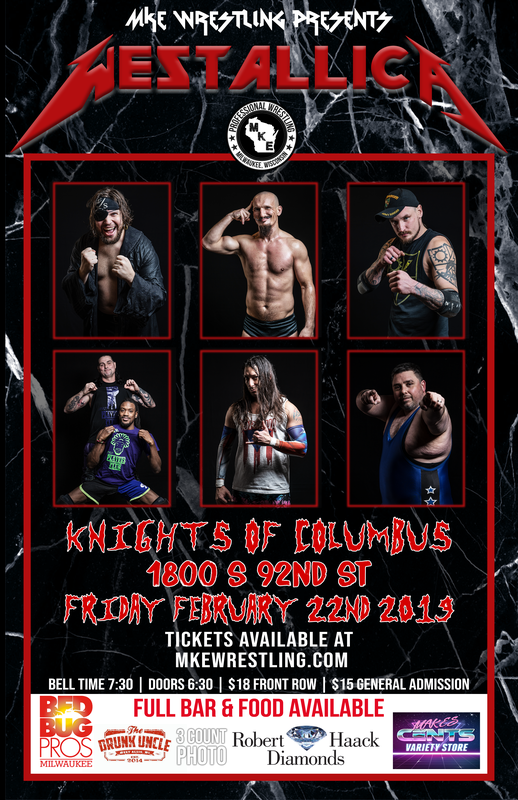 This former WWE and Impact Wrestling Superstar and Wisconsin native makes his return to the Knights of Columbus! General Admission seating for MKE Wrestling Is Real Please give your name at the door and you will be admitted. Only a few more shows left EVER at the Knights of Columbus in West Allis, which is a historic wrestling building…don’t miss out on history! Live from the historic Knights of Columbus building in West Allis. Unfortunately the building will be closing in a few months, and we plan on going out with a bang over the next few months!!! Reserved Front Row seating for MKE Wrestling WESTALLICA! Please give your name at the door and you will be admitted. Doors 6:30 Bell 7:30 Knights of Columbus 1800 S. 92nd St. West Allis, WI Please contact us with any questions. General Admission seating for MKE Wrestling WESTALLICA! Please give your name at the door and you will be admitted. Doors 6:30 Bell 7:30 Knights of Columbus 1800 S. 92nd St. West Allis, WI Please contact us with any questions.